In the event of extreme circumstances, such as adverse weather conditions, it is possible that the school may have to close for the day. In this case a decision will be taken usually early in the morning. However rarely, if conditions seriously deteriorate during the course of the day, a decision may be taken to close school early to ensure that students and staff get home safely. Whether the school facilities are safe for students and staff. Whether sufficient staff will be able to get to school to supervise students safely. The probability of conditions worsening so making journeys home very difficult. If we do need to close the school, there are three methods by which we will make an announcement. The first of these is by sending parents a message via the school app. We will also make an announcement on the school website www.teignmouth.devon.sch.uk. The announcement will be clearly visible on the home page and news feed. When reading this information, please check the date carefully. It is unusual for us to know the day before that the school will definitely be closed and the decision about closure is usually made on a day to day basis by 8:00 am. You are also advised to listen to the local radio stations listed below, who at regular intervals give details of school closures. Notice of the closure will also be placed on Devon County Council’s website – https://new.devon.gov.uk/schools/closure/ – on their school closures page. If a decision is taken to close early we will send a message out via the school app as a matter of priority. A bulletin will also be posted on the homepage of the school website advising that the school will be closing and at what time. Local radio stations and Devon County Council (see above) will also be advised. 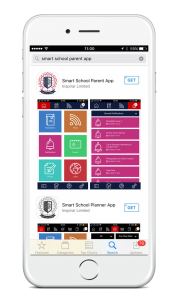 As the new school app is now a key part of the communication process from school to parents, I would to urge you to download this as soon as possible. You can do this by searching for ‘smart school parent app’ in the App store (Apple) or Google Play store (Android). This system has replaced the text messaging system.